LOS ANGELES--(BUSINESS WIRE)--Credit Key, the fastest growing credit and payments platform for B2B e-commerce led by Onestop Internet founder John Tomich, today announced a $4 million investment, let by venture capital fund Greycroft, joined by Bonfire Ventures and industry veterans, to support business growth in response to customer demand. “Credit Key is moving B2B lending from the back office to the e-commerce checkout—delivering better, more transparent business credit in seconds,” says John Tomich, Co-Founder and CEO. B2B e-commerce lags far behind B2C in technology advancement—despite being more than twice the market size, with rapid growth toward $1T in yearly online B2B sales. Business trade credit, in particular, is in dire need of modernization. Credit Key’s first product, Pay with Credit Key, allows online business customers to pay for purchases in multiple monthly installments, at rates better than many business credit cards and revolving lines. “Offering Credit Key as an alternative financing option for our B2B customers shopping on our site helps us to deliver on our promise of exceptional customer service,” says Jonathan Collins, CEO of Telstraight International, an early Credit Key adopter. Credit Key’s proprietary scoring incorporates fraud screening, identity verification, and business credit data points, as well as historical merchant transaction data, driving higher approval rates and larger credit lines. This increased purchasing power delivers higher average order values (AOVs) and more purchases for merchants. Credit Key undertakes both the credit risk and the loan servicing. "We share Credit Key’s vision to create better, more transparent B2B e-commerce payment services and products, using proprietary data to improve credit decisions," said Kamran Ansari, Venture Partner at Greycroft who is joining Credit Key's Board. "John has the team, vision and experience to build the leading company in this important new category." Credit Key is a B2B financial services technology company that is bringing better business financing to online point of sale. Underwriting and pricing for business customers is based on traditional and non-traditional data that score, approves, and delivers better business credit in real time. To start working with Credit Key, please visit creditkey.com. Greycroft is a leading venture capital firm focused on investments in the Internet and mobile markets. 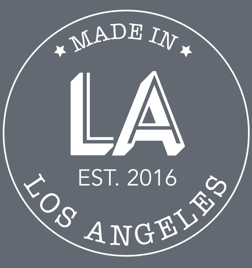 With offices in the two media capitals of the world – New York and Los Angeles – Greycroft is uniquely positioned to serve entrepreneurs who have chosen us as their partners. Greycroft leverages an extensive network of media and technology industry connections to help entrepreneurs gain visibility, build strategic relationships, bring their products to market, and build successful businesses. Greycroft manages in excess of $1 billion and has made over 150 investments since inception in leading companies including Acorns, App Annie, Boxed, Braintree, Buddy Media, Everything But The House, Extreme Reach, Huffington Post, Icertis, JW Player, Maker Studios, Plated, Scopely, Shipt, TheRealReal, Thrive Market, Trunk Club, Venmo, WideOrbit, and Yeakha. For more information please visit http://www.greycroft.com.